Matthieu Boussard is a research project leader at Alcatel-Lucent Bell Labs. He graduated as a telecommunication engineer from the French ‘Institut National des Télécommunications’ in 2000, specializing on parallel and distributed computing. He worked for half a year as a Guest Researcher at the National Institute of Standards and Technologies (NIST) on this topic, participating to work on distributed computing in clustering environments. From 2001 to 2004, he worked for telecom manufacturer Alcatel in the Network Management Unit as a development and system engineer. He then joined Alcatel’s Research & Innovation division in 2004 in a team dedicated to context-aware systems and multimodal interfaces, taking part in the preparation and running of many collaborative projects: IST FP6 Mobilife, FP7 IoT-a, iCore, as well as the FP6 SPICE and CELTIC SERVERY projects where he was appointed technical manager. 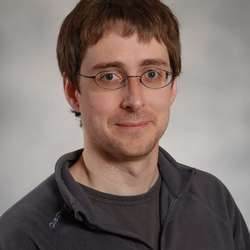 During 2010-2012, he has been leading an internal Research Project in Bell Labs’ Application Research Domain, investigating the Web of Things enabled Smart Environments. In 2012, he joined a team in Networking Research, continuing to work on IoT while trying to bridge it with broader networking research. He has co-authored over 20 peer-reviewed publications and 20 patents.He has taken part in a conferences TPCs including PIMRC’08, WCNC’09 and PERCOM 2012, and acted as an expert for the European FP7 program, French ANR program and for the French ministry of industry. He has been nominated in 2011 to the Alcatel-Lucent Technical Academy.